Garage doors aren’t just for keeping our cars secure anymore; they are a vital part of our home aesthetics. 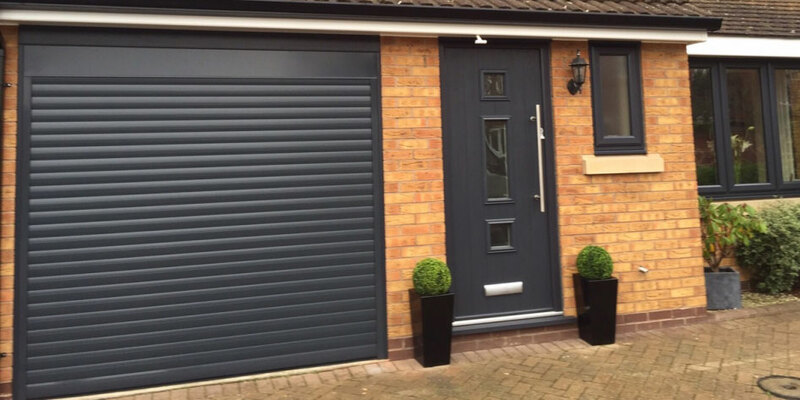 It’s the main reason why buying new garage doors can feel like such a big decision, and also why, at Wessex Garage Doors, we do what we can to make that choice easier. If you’re considering roller garage doors, here are a few pointers to help you decide if they are right for you. Save space inside your garage. Roller mechanisms lift the door straight upwards, storing it a barrel-like compartment above the entrance. They also don’t require a frame, and can be mounted behind the garage opening. This means you can gain back valuable parking and storage space if your garage is on the “compact” side. Lengthen your driveway. While we can’t make your driveway physically longer, the vertical lift of a roller door means that you can park much closer to it without worrying about knocking your car. Perfect if you have a short driveway. Never lift a door again. If you’re looking for the ultimate convenience, automated roller doors mean you won’t even have to leave your car to open them. Electric doors also improve your garage security, helping you sleep better at night. Hundreds of designs to choose from. We supply roller garage doors in steel, GRP and ABS plastic, in a huge range of colours including wood grains to match your current windows and doors. You’ll need a little extra height. Where other garage door styles peel back along the ceiling of your garage, roller doors will need enough space for the door to be folded up. If your garage has low ceilings, this may not be the design for you. They look modern and edgy. With their crisp horizontal lines, and minimal, functional appearance, roller doors are ideal for contemporary architecture. Unfortunately, this means you might struggle to find a perfect match for your period property, or more traditional aesthetic. They’re slower to open. There’s no dressing it up; roller doors will take a little longer than conventional doors to carefully fold away. For most owners, this is balanced by the convenience of an automated opening mechanism, but it’s something to consider if you often need to get out of your garage in a hurry. If we can help you answer any questions about our doors, like the best material to choose or how to measure them properly, our friendly, professional team are here to help – just contact us today.